The yield curve inverted again as we moved into the second quarter of 2019. What does it mean for real estate investors? The yield curve is a graph showing the difference between returns on long term versus short term investments. Normally, shorter-term investments like business loans and merchant cash advances don’t offer as much as longer-term investments which require investors to tie up their capital for longer periods. These yields are driven by demand. 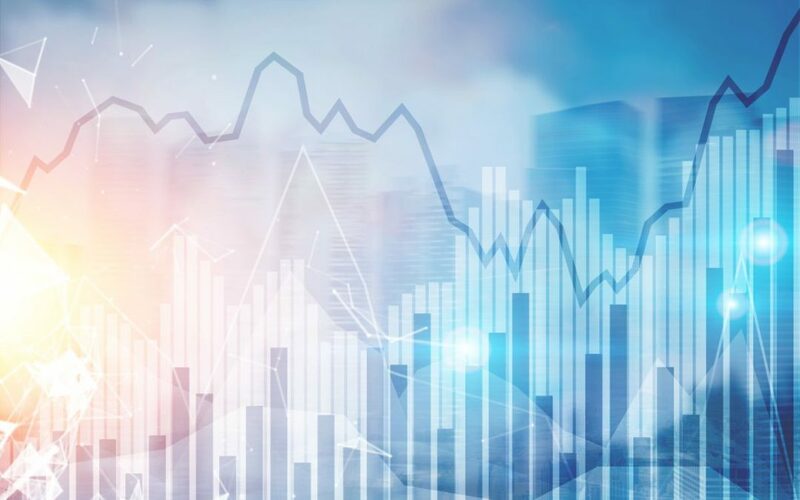 Whichever type of investment is most in demand normally feels yield compression due to returns being bid down, while the lesser preferred type of investments has to offer more yield to offset risk and attract more investors. The most significant signal of an inverted yield curve is that it is usually a warning of an impending recession. Not all experts will agree in any given cycle. 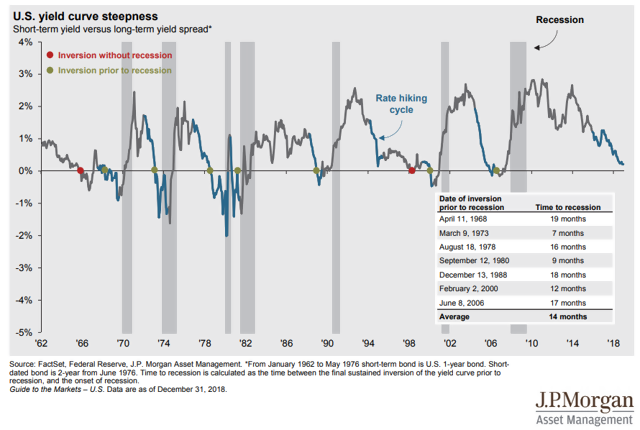 Though as shown in this graph from JP Morgan, an inverted yield curve has lead to a recession 6 out of 8 times since the 1960s, or as far back as the data goes. This current trend suggests less confidence in the economy in the short term, which could last through the next election. With yields dropping on investments like bonds and mortgage-backed securities. In general, this may be a wise time to minimize exposure in the publicly traded stock market and short term commercial business loans. It may also suggest a tougher time for retailers and single family home flippers over the next 18 to 32 months. Hard, tangible assets are a good choice as are income-producing investments such as apartment buildings. To offset any softness in cap rates and yields, investors can seek out value add opportunities which create superior overall returns.